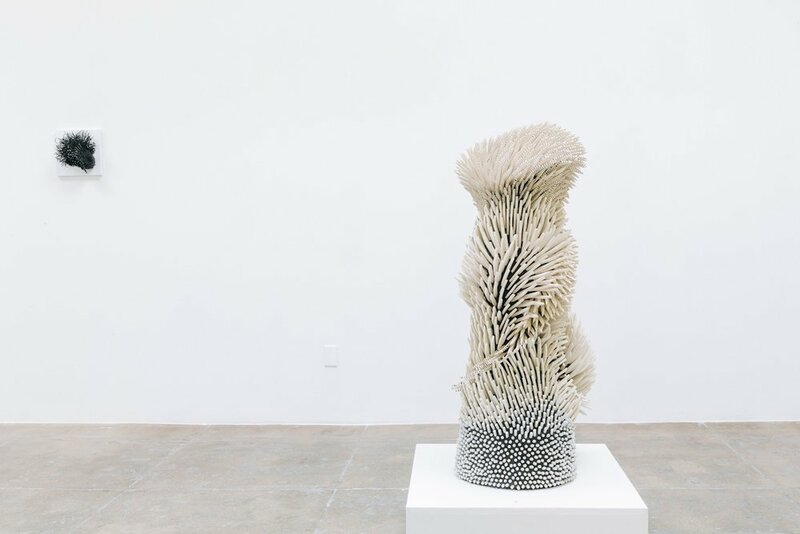 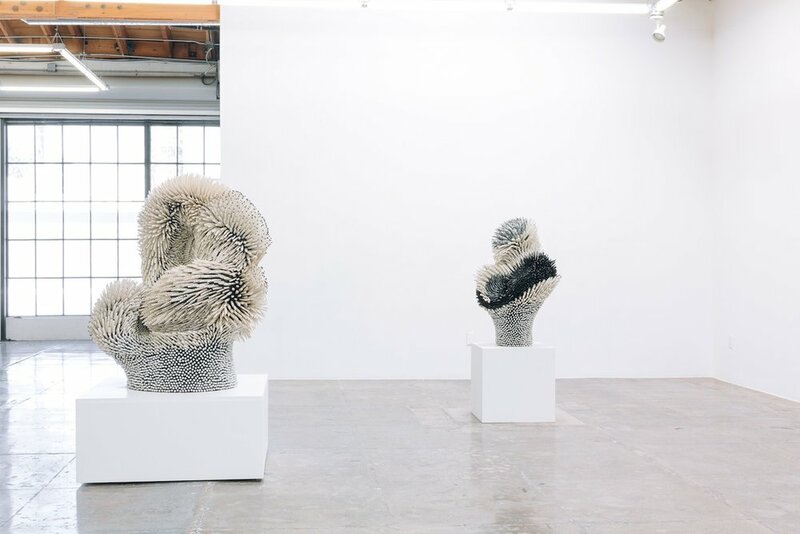 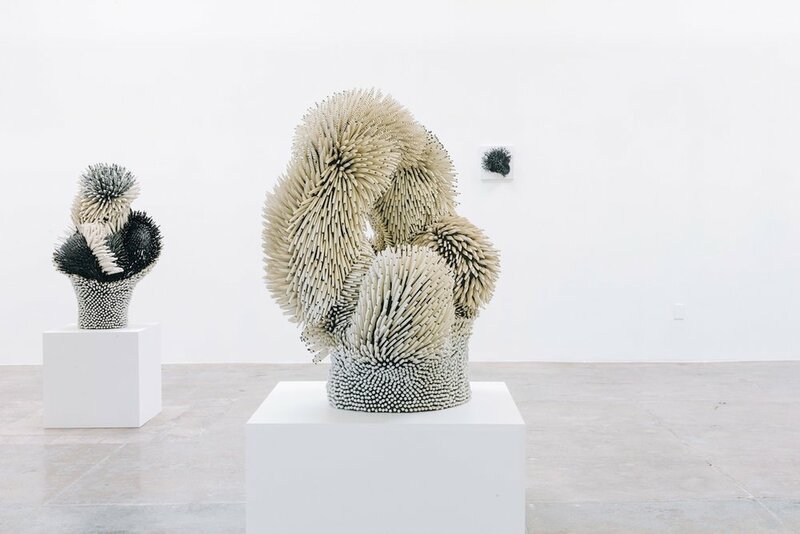 "Mark Moore Gallery is proud to present Nomad, by Israeli born artist Zemer Peled. 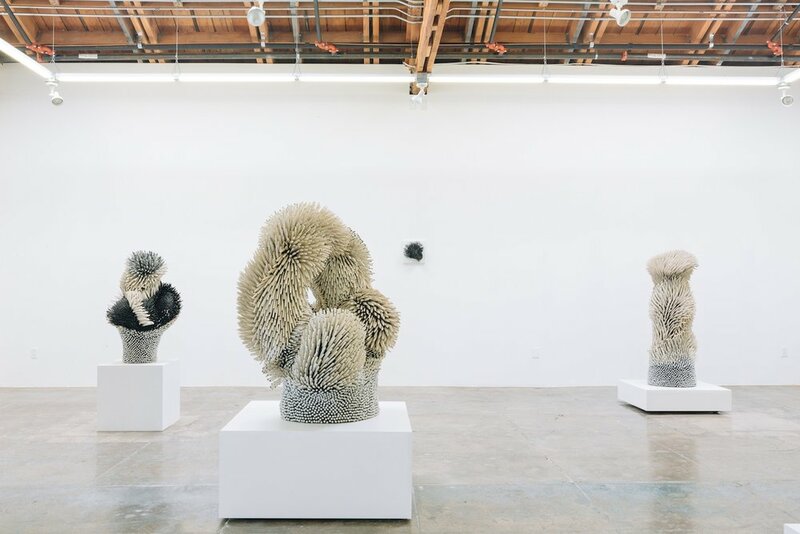 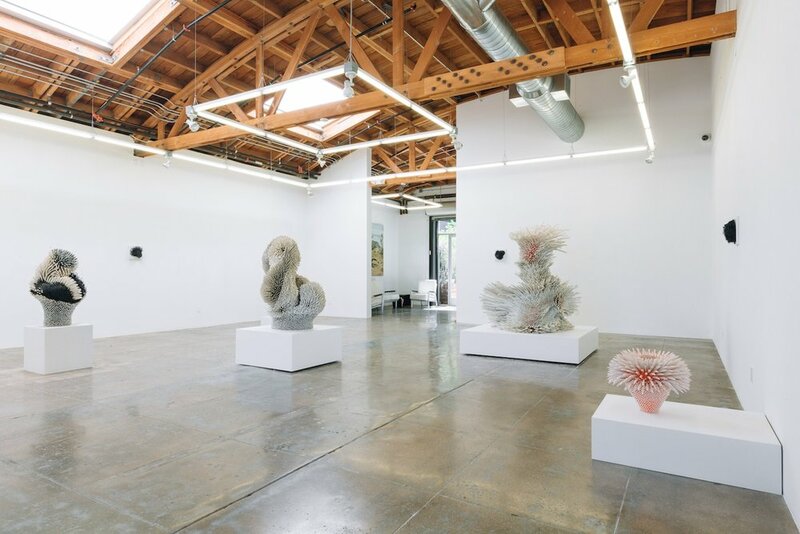 This marks the artist’s first solo exhibition in Los Angeles. 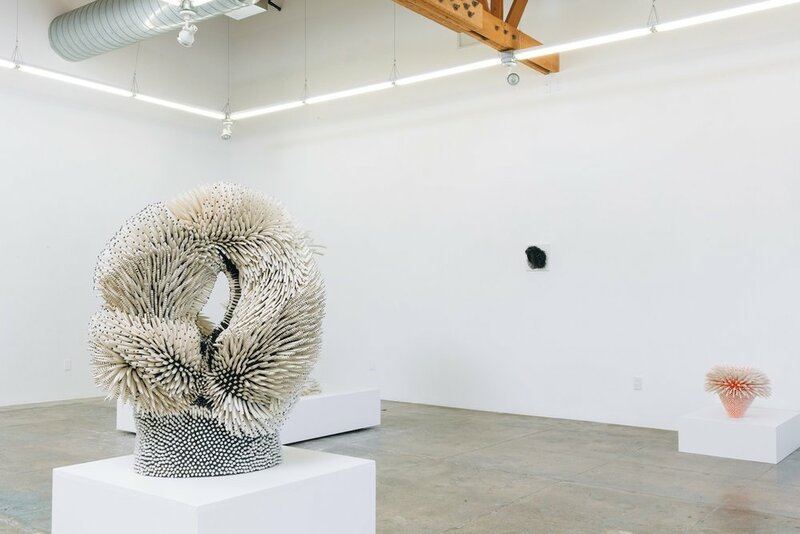 Featuring large-scale sculptures and smaller objects, the exhibition highlights Peled’s labor-intensive process that bridges narrative and formalist elements. 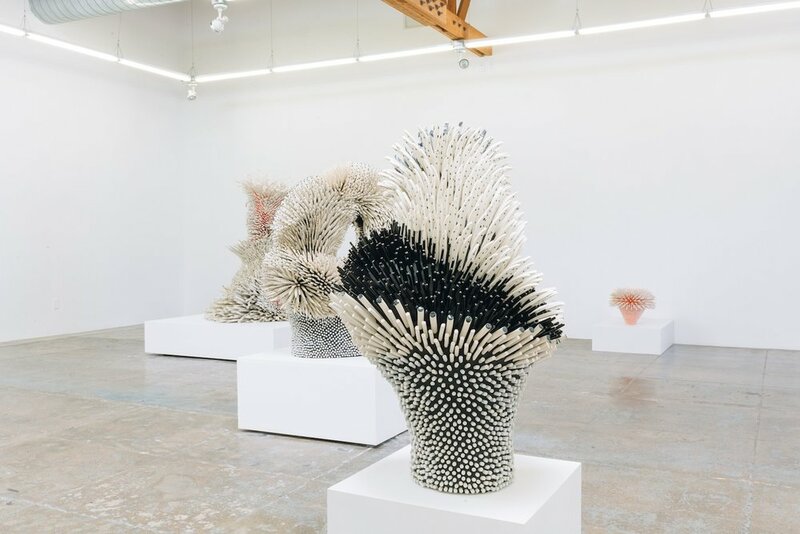 Peled utilizes a process of creation and destruction to make sculptures consisting of thousands of handcrafted porcelain shards resulting in works that can be read in relation to art historical tradition, outsider art, and natural phenomena."